1861. 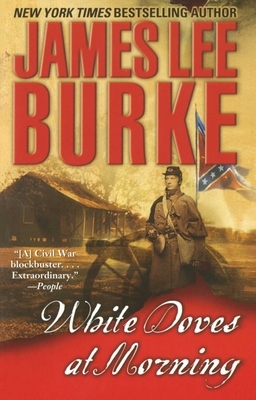 Two young Southerners, friends despite their differing political views and backgrounds, enlist in the 18th Louisiana regiment of the Confederate Army: Robert Perry, wealthy and privileged, and irreverent Willie Burke, the son of Irish immigrants, face the trials of battle and find redemption in the love of a passionate and committed abolitionist, Abigail Downing, and in the courageous struggle of Flower Jamison, a beautiful slave. Filled with a cast of unforgettable characters, and penetrating a landscape of shattering Civil War bloodshed as few novels have, this epic from an American literary giant endows readers with the gift of experiencing the past through new eyes, while its timeless prose style -- at once luminous and brutal -- ensures the legacy of this bloodiest of conflicts will never be lost.